I’ve lived in a lot of big cities in my life, but I’m not sure I’ve ever seen such satisfied bus ridership as I’ve seen in Honolulu. In many major cities, young children wouldn’t dare take the bus by themselves. But, here, you’ll see all walks of life shuffle in and out of the buses — children, teens, and especially the elderly. But, many visitors shy away from taking the city bus, and it’s hard to understand why. The bus on Oahu can take you just about anywhere you like, AND they’ve just unveiled a few changes that will make riding the bus a whole lot cheaper and easier. 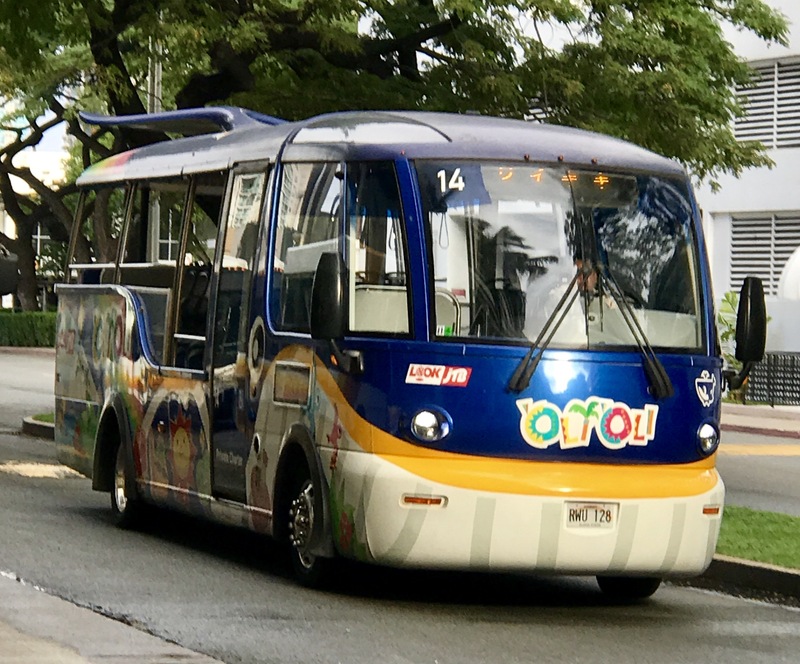 $5 Day passes: According to Hawaii News Now, Honolulu Mayor Kirk Caldwell signed a bill into law last week that allows riders to buy a $5 one-day pass, eliminating the need for passengers to get paper transfers from bus drivers. “We have one of the most heavily used bus systems. We want to make it as easy and convenient for riders,” Caldwell told reporters. The Bus offers cheap passes that enable users to anywhere on Oahu. The news station reports that city officials hope to have the one-day pass available for purchase by October. They say it will make things a lot easier for both passengers and bus drivers, while addressing the fraud that currently happens with paper transfers. The one-day passes cost $5 for adults and $2.50 for children. Riders can purchase them directly from bus drivers and the single-day pass will be good for unlimited rides within a 27-hour period from midnight the first day until 2:59 a.m. the next day. “This will give opportunities for people, especially those living on the west side, to get home if they’re working late and they don’t have to pick up a transfer,” Honolulu City Councilman Brandon Elefante, who introduced the bill, told HNN. The one-day option will also replace the four-day, $35 passes. Riders can still buy a one-way ticket at $2.50. In addition to city buses, many private operators offer inexpensive bus transporation around the islands. DaBus App: Visitors who want to use the bus on Oahu can also download a FREE app that can help navigate the bus system. 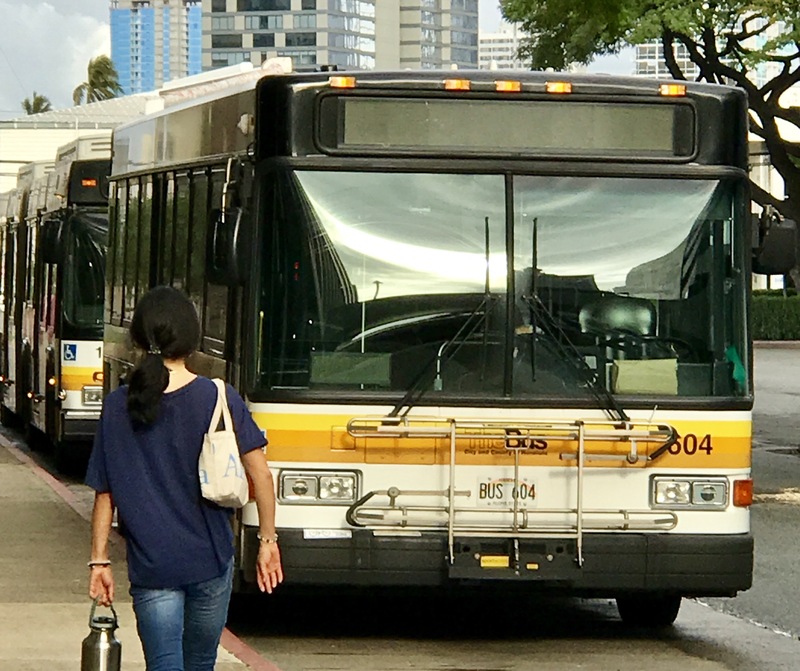 The DaBus app uses the near real-time arrival information, courtesy of the Oahu Transit Services, to provide the best estimated time on when the next bus will arrive. This app also tracks the current location of the bus you are interested using the GPS device installed on many of the buses. In addition, it also provides options to explore different bus routes and take a virtual ride to better understand its route. Keep in mind that taking the bus on Oahu may not be practical for some excursions. So, make sure you book those Hawaii activities through Hawaii Aloha Travel. They’re one of the few companies that provide transportation options for most outings, and all of the company’s Jeep tours provide hotel pick-up and drop-off. For most of your daily outings, however, the bus is the most affordable, easiest, and most convenient option. So, grab that $5 bus pass, download the DaBus app, and be on you way!